Update from a LOOOONG time ago. I just finished my Bell 206L Long Ranger repaint (finally). Here are a couple of pics. Hopefully, I will have the final file to Chris at ecardmodels in the next day or so. Where did you get the Guido model. My nephew would GO NUTS if I made him one of these. He has pretty much test flow all my models thus far and responsibly put them back on their shelf. I think he deserves one. Yes I was amazed that a 3 year old understood: "Please don't break the propellers"
Paintrain, I don't remember which site I got Guido from. If I can find it tomorrow, I'll send you the link. WOW!!! what a great looking model. Can I get one too??? 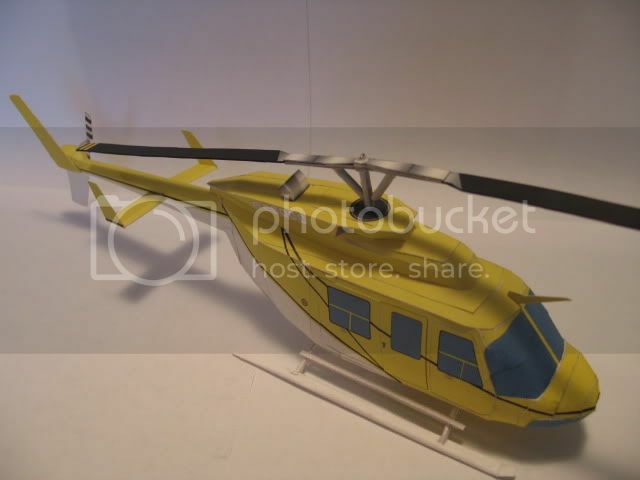 The helicopter will be up in a day or so on ecardmodels.com. I'm sending in the file in a couple of minutes. Looks great willy, well done! Thanks guys. 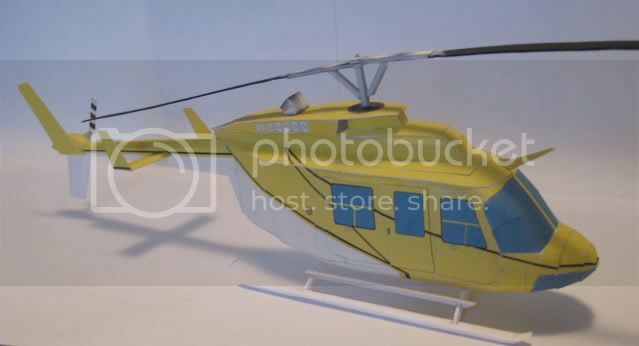 The helicopter is up at the ecardmodels.com store. I kind of feel dirty doing this, but FG doesn't have this helo available, so it's not hurting Chip really. Hmm. Been a while since I built anything worth posting. Yikes. Well, I did build 7 models for a presentation in August, but none were FG. Anywho, I finally had time to build a model for fun. Friday I built the A-7 Corsair II. It was a quick build for me. Just over 2 hours. I did add the edge coloring to make the camo look nice from piece to piece. I haven't added the weapons pylons or any ordinance yet, but that's coming when I get a chance. Enjoy! Not a problem Willy. I'd forgot all about it. I like you have been very busy as well. cool model I am not much of a jet guy but good job!